The Blot was super bummed to learn Kyle Kirwan is preparing to retire his popular Willo character! But before that happens, he’s been putting the finishing touches on “The Final Willo”! 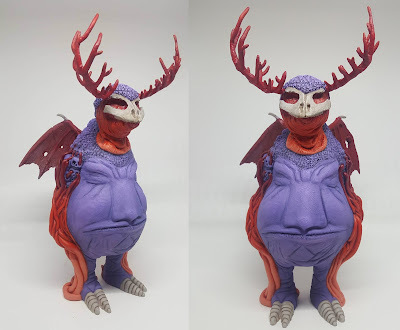 This evolution of Kirwan’s Willo character looks fantastic, and I love all the new little details he’s added to the sculpt. The Final Willo is limited to just 10 pieces, and will be made available for pre-order at 12pm EST this Friday, February 9th, at Kirwan’s online store for $250. There will be two additional colorways of this new version of Willo before the character is retired forever!